A luxury car is a status symbol that many of richest people around the world will invest in. There is plenty of choice when it comes to this, with auto shows being some of the best places to see the latest models. One of the biggest took place recently in France and the following are the top 5 cars at Paris Motor show 2014 with regard to price. The A in the name of this Ferrari model stands for Aperta, which means open in Italian, and this is because it is a luxury convertible. 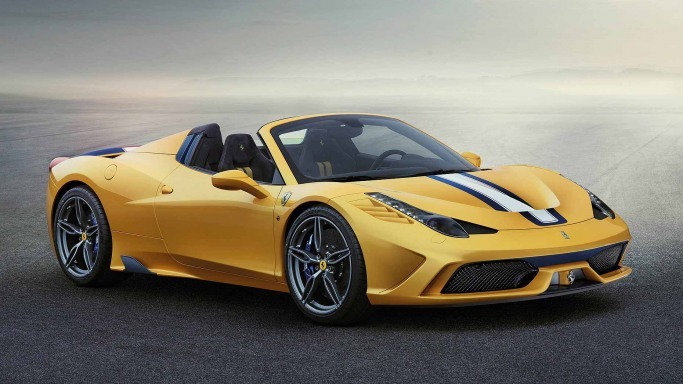 It is based on the 458 Spider, with an aluminum hard top capable of retracting in around 14 seconds. It features the sleek lines that Ferrari is famous for and a powerful engine provides the speed to propel the car from 0 to 100kph in less than 3 seconds. Only 499 are being produced and they are expected to cost buyers around $230,000. The Bentley Mulsanne has been a popular luxury vehicle in recent times and the Speed edition of the model was unveiled in Paris. This combines the classic Bentley lines and comfortable interior with a 550 brake horsepower V8 engine to create a high-performance vehicle that will be adorned with the company’s Speed badge and be capable of reaching around 320kph. Bentley fans looking to buy this model will need to have around $400,000 available, with this being the expected price it will retail for. This hybrid concept car combines a 5.5 liter V10 gas engine with three electric engines and is capable of producing 910 brake horsepower. Two driving modes are available, with the first using both gas and electric motors together and the second running on only electric power for a zero emission ride. While it is a concept car at present, Lamborghini’s boss has suggested that if it were to go into production it would likely set back eco-conscious buyers by a cool $550,000. One of the most expensive cars in the world was on display in Paris, with a special edition of the Bugatti Veyron being a highlight of the show. Only 450 of this model have been produced and most have already been sold to buyers willing to pay the huge $1.85 million price tag. This gets them the fastest street-legal production line car in the world, with the Veyron’s 8 liter engine taking it to speeds of around 400kph. The look of the car is just as impressive and for those that have the money, it is one of the top luxury cars to own.